If you’ve found yourself dreaming of gazing into Ryan Gosling’s beautiful eyes (and really, who hasn’t? ), you’ll likely have to do it through his Warby Parker glasses. Warby Parker, the latest “IT” eyeglass brand, has perched its affordable yet fashion-forward specs on the noses of hipsters, value seekers and celebrities alike. However, success didn’t happen overnight. How did Warby Parker transform from being a Wharton MBA class project to being named Fast Company’s #1 Most Innovative companies of 2015, usurping perennial favorites Google and Apple? The cofounders of Warby Parker strategically spent money on only three things: 1) building out a website that they hired an external developer for, 2) the original set of inventory, 3) public relations. In Dave Gilboa’s (co-founder of Warby Parker) own words, “and the third was hiring a fashion publicist who was able to get us the meetings with the right people at GQ and Vogue. So we went in to pitch to them and got these great editorial features we really wanted – and a stamp of approval. GQ called us the ‘Netflix of eyewear.’ And we just started getting orders pouring in.” These orders grew so large that they had to create a waitlist functionality within the first day, and ended up having a 20,000 person waitlist that took them nine months to work through. 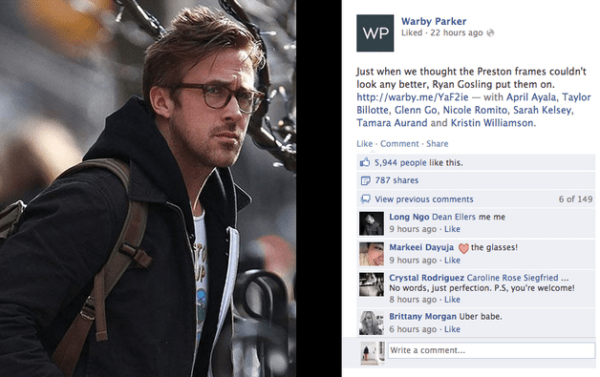 Besides having an obviously unique product, what did Warby Parker do right in terms of its marketing? Being bootstrapped for cash, they strategically used their marketing dollars for public relations, hiring someone who was able to get them an audience in front of top fashion influencers who loved their eyeglasses. Numbers don’t lie, especially a 20,000 person waitlist of people desperate to get their hands on Warby Parker eyeglasses. When you’re a brand new startup, and need to get your brand in the eyes and mouths of your niche audience, spend money on public relations. It’ll get you farther than just listing your company and phone number on a blimp or a television spot. Having a great product plus the right marketing strategy equals growth for your startup. So here’s a scenario: you just launched your new app, and to promote the launch, created a hilarious YouTube video featuring a hamster eating miniature food. Unexpectedly, your video gets shared by thousands of people, retweeted multiple times over, and becomes a top Facebook story. At current count, the video I mentioned – http://goo.gl/abf3fR – now has over 9 million views. 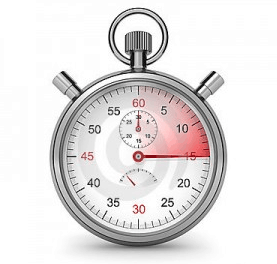 Now that your brand has created a viral sensation, what are you going to do when your 15 minutes of fame (more like 15 seconds in today’s hyper fast sharing world) are over? It’s awesome that you hit a lottery in terms of visibility on your first try, but to build momentum for your brand, invest in relationships with journalists, bloggers, influencers, and most importantly, a public relations strategy. Did your organic cat food ad strike the right chord with cat lovers? Make sure that cat outlets like Modern Cat and I Love Cats receive free samples so that they can write product reviews about your brand. Identify pet food websites that are on the first page of an “organic cat food search,” and reach out to them. You need to ensure that your brand is still in your relevant audience’s mind, once the viral wave has died down. What do Pets.com’s 2000 Super Bowl commercial, The Knack’s “My Sharona,” and the directors of “The Blair Witch Project” have in common? Give up? They’re all one hit wonders. Pets.com notoriously overspent money on their 2000 Super Bowl commercial, only to collapse when the tech bubble popped. The Knack’s follow up albums never reached the commercial success that their “My Sharona” single hit. Finally, the directors of “The Blair Witch Project” haven’t found acclaim since their influential indie sensation. You don’t want your brand to pigeonhole itself on one successful ad, video, write-up, etc. To become successful, a brand can’t repeat a formula, or rest on the laurels of previous work. Nike is the best example of consistency in its brand. When you think of Nike, you don’t think of just Michael Jordan, their spokesperson and Air Jordan inspiration. To their fans, Nike means rising above your limits, pushing yourself, and getting past failures to make that goal/shot/win. The “Just Do It” campaign features everyone from tennis champion Serena Williams, pop star Ellie Goulding, and soccer star Cristiano Ronaldo. Nike has successfully stayed true to its brand by repeating a simple message: “What’s stopping you from being great? Just do it.” Here’s their 2008 commercial to drive home that point. This is the most important takeaway. Good marketing is nothing if it doesn’t have a strong product to back up the messaging. Don’t get overhyped by your own marketing success.Your product is the most important marketing tool that you have, and if your product isn’t up to snuff, all that PR will get you nowhere fast. Check out this ad by Goldieblox, a toy geared to teach young girls engineering skills. Great ad right? The ad is creative but also drives home the message that this product is different from the typical “girls toys” available right now, and can teach girls to be future inventors and engineers. A brand needs tools to have staying power amid all the noise of social media and competition. To become and stay a memorable brand, you need to have: a strong product or product line, an authentic and consistent message, the ability to keep creating and not becoming known for just one thing, and investing in public relations strategies and relationships. Remember when Netflix was mired in a massive backlash against their price hike and decision to rid their business of DVDs? Everyone (including us) thought that they were heading the way of MySpace and rendering themselves obsolete, thanks to a tone-deaf attitude to consumer demands and feedback. Now, just 3 years later, Netflix is recording strong stock prices, winning industry awards and becoming the centerpiece of pop culture discussions with popular, buzz-worthy shows like “Orange is the New Black” and “House of Cards.” The streaming pioneers also had the smarts to bring back cult fave “Arrested Development” and are now moving into original films, signing deals with Adam Sandler (don’t hold that against them – the man is a cash cow) and becoming the distributors of the sequel to “Crouching Tiger, Hidden Dragon,” news of which set off a firestorm in Hollywood. It’s an impressive turnaround from a PR standpoint. The brand that was badly burned emerges triumphantly in three years. It’s a story that doesn’t happen often, especially since Netflix wasn’t yet too big to fail when the backlash was happening. 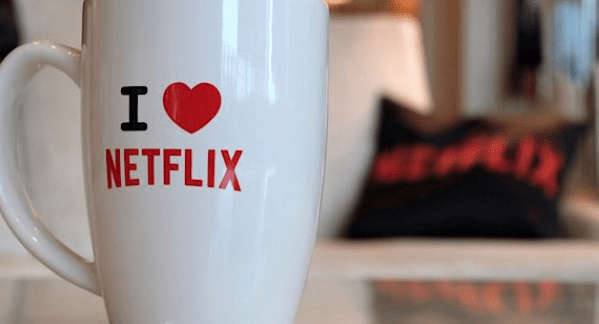 Sticking to their guns – Some might argue that their stubborn inability to back down from negative feedback was their initial undoing but by not throwing out the baby with the bathwater and keeping CEO Reed Hastings’ vision, it appears Netflix made the right move. Made their product so damn desirable, you had to sign back up – Great content is a helluva drug, and Netflix brilliantly pursued smart content, initially pursuing the small but vocal and influential fans of cult faves like “Arrested Development.” They then went guns blazing, signing expensive deals with talented people like David Fincher, Ryan Murphy and Jenji Kohan. Their latest deals combine the mainstream (Adam Sandler) with their artistic sensibilities (“Crouching Tiger” sequel and a new show from Tina Fey). Diversified their product line – Instead of just becoming a content distributor, Netflix became a platform for original content, gambling on proven talent for not-so-proven content. The risk paid off in the form of increased user base and Emmy and Golden Globe award wins for their shows. Now, proven Hollywood talent look to Netflix the same way that they look to Sony, Lionsgate, Disney and Warner Bros.
Netflix’s strategy to focus on content that consumers simply couldn’t refuse isn’t reinventing the wheel but it was certainly risky, especially after stinging criticism. That risk seems to have paid off to the tune of $400 stock prices. Ultimately, what Netflix’s brand turnaround tells you is: focus on the product and the positive PR will be inevitable.